LVs Run needs your help to reach its $80,000 goal! 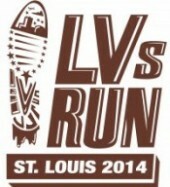 With the race only days away, and having raised more than 85 percent of the goal, the Lasallian Volunteers (LVs) are accepting donations and making final preparations for the 9th annual LVs Run, which will take place on December 14, 2014, in St. Louis, Missouri, in collaboration with the Hot Chocolate Run. As an associate charity with the 5k/15k race, the LV program continues to collect donations for the run. Contributions can be made to the group or to individual runners. After its unofficial beginning in 2006, LVs Run officially started in 2007 with 18 LVs and friends running the Chicago Marathon. That group raised more than $28,000. Since then, LVs Run has been held in Philadelphia, Newport (Rhode Island), Memphis, Minneapolis and Tulsa raising almost $300,000 over the years to support LVs.